The Fredericton Region Museum has been the site of many special celebrations, unforgettable parties, dynamic receptions, soirées… and more. The Museum’s exhibits and intimate gathering spaces provide a unique backdrop for events and easily accommodates medium or small parties. The exhibits serve as icebreakers, stimulating conversation and making a truly memorable event.We welcome your questions and are happy to provide advice and consultation for using the galleries for your next event. Please call or e-mail for an appointment to tour the galleries the Executive Director. CountryFest 2014 bar set up under the balcony at the Fredericton Region Museum. You can rent the entire Museum, or just a room. Museum rentals are for non-Museum hours. Please review our Hours of Operation (including seasonal hours) prior to scheduling your event. All rental fees include free admission to the Fredericton Region Museum. Building & Balcony Rates: $55 per hour on week days and weekends when the museum is not open to the public and $65 per hour on holidays or during public hours. Gallery Rates: $35 per hour on week days and weekends when the museum is not open to the public and $45 per hour on holidays or during public hours. Under the Balcony: Bar set ups under the balcony is $500 a day subject to approval by the museum office (note that set ups cannot block museum entrances). Use of parking lot behind the museum requires permission from the museum office. If your event is going to block the parking lot then this has to be booked 2 months in advance to allow museum staff time to arrange with parkers and will cost $500 a day. York Sunbury Historical Society members in Good Standing receive a 25% discount on room and building rentals and are given priority on bookings made three (3) months in advance. Fredericton Chamber of Commerce M2M offer is 15% off facility rentals (cannot be combined with other discounts). If you are a Fredericton Chamber of Commerce member in good standing, make a note on the facility rental form. Approved Non-Profit Organizations receive a 20% discount on meeting room and building rentals. We only ask that you include us in your promotional material. We welcome your questions and are happy to provide advice and consultation for using the galleries for your next event. Please call 455-6041 or e-mail us at yorksunbury at nb dot aibn dot com for an appointment to tour the galleries. The Fredericton Region Museum is available every evening of the week from the start of May until the end of September. During the months of May, June and September the Museum is also available during the mornings and all day Sunday and Monday. The Museum is easily accessible via public transportation. There are a number of metered parking spaces conveniently located behind the Fredericton Public Library in addition to a number of lots in the vicinity. The meters are free after 5pm during the week and on weekends. For events that are held in the evenings (after 5pm) or on weekends, a limited number of free spaces are available, on a first-come basis, in the parking lot behind the Fredericton Region Museum. The Fredericton Region Museum assumes no responsibility for any damage that may occur to parked vehicles. Hosts can select the caterer of their choice. Music is permitted in the Museum’s galleries. However, we regret that dancing is not permitted. Insurance is the responsibility of the group renting the facilities. The Museum reserves the right to levy additional charges for careless damage to Museum property. At least one Museum staff member will be present when Museum facilities are rented to outside organizations. When requested in advance, the Museum staff will provide basic set-ups involving the Museum’s own tables and chairs and other approved equipment. Museum staff members are not available to load/unload equipment or to set up and install decorations and/or equipment brought into the Museum by the renting organization. This is the responsibility of the renting organization. The Museum staff will do its best to accommodate changes in set-ups if the request is made during regular working hours (9am to 5pm). Decorations are limited to table or floor decorations only. The Museum will not be held liable for loss or damage to property not removed after the event. Starting evening events no sooner that 5pm is encouraged. We welcome your questions and are happy to provide advice and consultation for using the Museum for your next event. Please contact the Museum office for more information or to arrange a tour of the galleries. What are your capacities for receptions? Receptions usually use the first two floors of the Museum, which can accommodate up to 175 guests for an event. Our average event guest count is 70 to 120. How much does it cost to rent the Fredericton Region Museum? Building & Balcony Rates: $55 per hour on week days and weekends when the museum is not open to the public and $65 per hour on holidays when the museum is not open to the public. Can the Museum be rented in January? The Fredericton Region Museum building is both a National and Provincial historical site and is not insulated. During the winter months, the building freezes with the exception of the office and bathrooms. The best months to rent the building are May to September. During May, June and September the Museum operates on shoulder season hours (Tuesday to Saturday 1-4pm) making rental times more flexible. Is any portion of the rental fee tax deductible? No. The rental of the building is not considered a donation. Does the Museum handle all of our catering, and rental equipment needs? Yes, but limited supplies. The Museum cannot guarantee the use of chairs and tables unless they are requested in advance when scheduling the event. The Museum does not provide table linens. How late can the reception last? Guests must depart the building by 12:00am. Candles are not permitted. We recommend that you use artificial candles. We do allow event hosts to provide their own alcohol through an approved supplier. Some caterers do not allow clients to provide their own alcohol, as they carry the license and liability for liquor. Can I have a wedding at the Fredericton Region Museum? The Museum has been used for weddings in the past however; the building is divided into several rooms and does not provide sufficient space for banquet style meals or a large ceremony room. What people have done is host a small wedding ceremony on the balcony or in the old summer kitchen on the main floor. Or, host the ceremony in Officers’ Square (arranged through the City of Fredericton) and then move inside the Museum for the reception. Please contact the Museum office with any additional questions. Located on the second floor, the balcony is the ideal location for small events that require a unique location such as presentations, luncheons, small concerts and receptions. 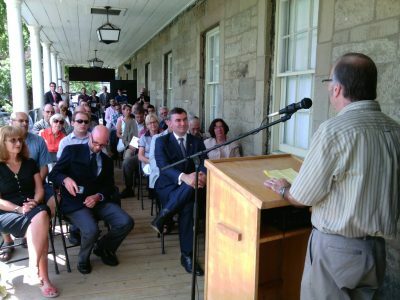 The Fredericton Region Museum balcony has been rented by private individuals for parties held during festivals held in Officers’ Square to take advantage of the scenery and music. The balcony has also been used to hold afternoon luncheons, VIP events and a fashion show. Use of the balcony is always weather permitting. In the event of severe rainfall, activities can be moved indoors. A guest speaker will require a microphone because of the street noise. The balcony is original to the building, if children are on the balcony then they must be accompanied by an adult. These calculations are an approximation of balcony capacity. Extra room square footage will need to be subtracted to accommodate staging and audio requirements. Also, allow for other obstructions. You can rent the entire Fredericton Region Museum, or just a room. The Museum provides a unique venue for stand up receptions. Guest can gather in one of the larger galleries for speeches and then tour the dozen galleries while mingling with other guests. The Museum has been used for weddings in the past however; the building is does not provide sufficient space for banquet style meals, dance floor or a large ceremony room. 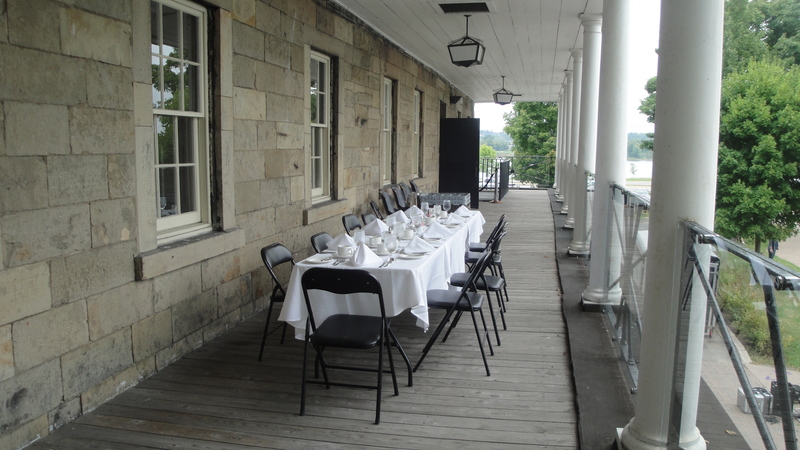 Guests have hosted small wedding ceremonies on the balcony or in the summer kitchen on the main floor. Others have hosted the ceremony in Officers’ Square (arranged through the City of Fredericton) and then move inside the Museum for the reception. Need just a room and not the whole building to hold a meeting, workshop or do you need a Green Room for an Officers’ Square event … check out what we have to offer! Choose from various different galleries. Treat your guests or clients to a unique experience: hold your meeting or workshop in one of the Fredericton Region Museum’s gallery spaces! We welcome your questions and are happy to provide advice and consultation for using the galleries for your next event. Please call or e-mail for an appointment to tour the galleries. Located on the main floor, the Summer Retail Space is at the second entrance on the north end of the front of the Fredericton Region Museum building. Consisting of two small rooms, this space was rented to the New Brunswick Craft Council during the summer months in 2010 because the Barracks Casements were closed. 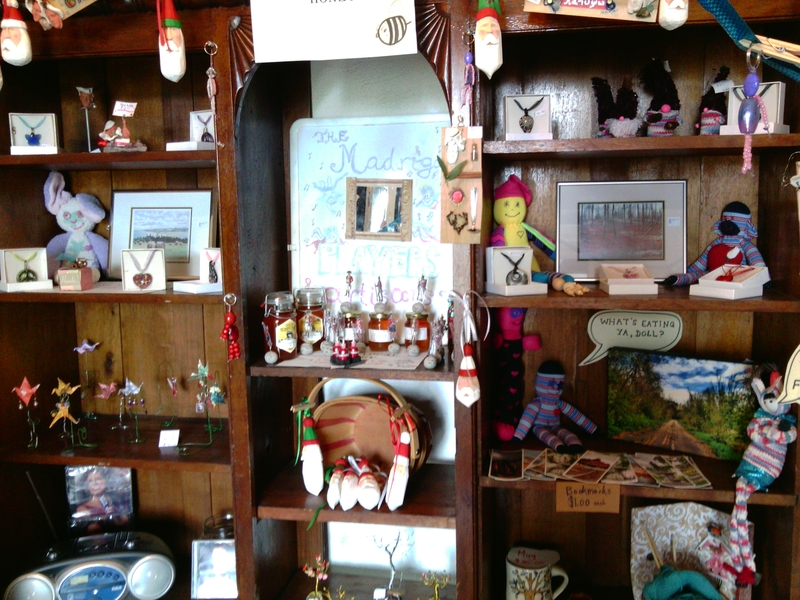 In 2011, the retail space was rented to the artist Cavelle for a gallery space in July and August. In recent years, it has been rented by Madrigal Players and Artisans. Applications for each summer season will be accepted until the end of April. These calculations are an approximation of room capacity. Extra room square footage will need to be subtracted to exhibits or other obstructions. When hosting an event there are a few things to know about the Fredericton Region Museum as you start planning your event. You may serve food and drink in the Museum. We work hard to take care of our treasured artefacts; please do not use them as a resting place for beverage cups and plates. Please be aware of provincial regulations regarding alcohol. If you wish to serve alcohol at your event you are responsible for ensuring that all necessary permits are obtained prior to the event. If the event is open to the public, it is your responsibility to ensure no one who is under age is served. The Fredericton Region Museum building is both a National and Provincial historical site and is not insulated. During the winter months, the building freezes with the exception of the office and bathrooms. The best months to rent the building are May to September. During May, June and September the Fredericton Region Museum operates on shoulder season hours (Tuesday to Saturday 1-4pm) making rental times more flexible. 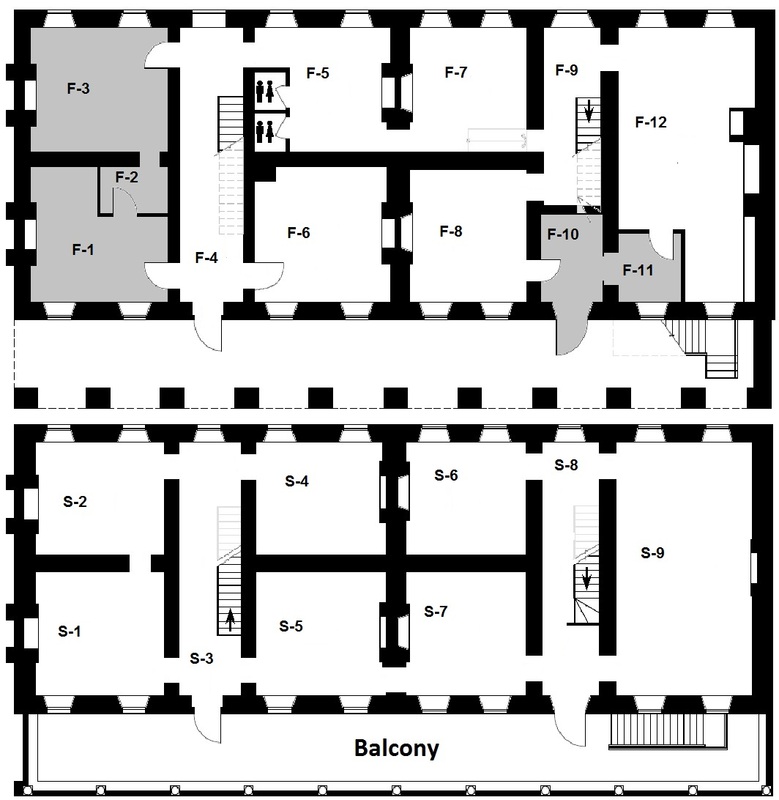 Building rentals include the first floor and the second floor. The third floor is not open to the public. Please call for an appointment to tour the Museum. Sorry, but the Museum cannot host large weddings or permit dancing. 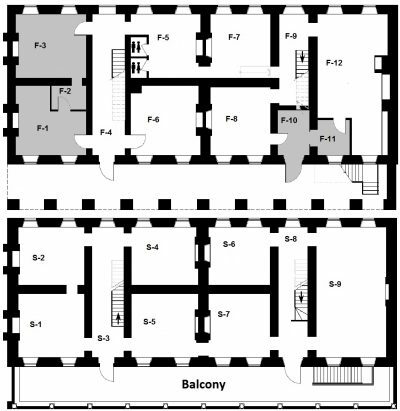 First Floor: Temporary exhibit galleries, orientation room, admissions desk, office, washrooms, workroom (with kitchen sink), emergency exits, summer kitchen (contains room for sit down seating for approximately 30 people and a platform at the end suitable for a stage). Second Floor: Permanent exhibit galleries. The First World War exhibit gallery is not suitable for rental. When renting the building, guests may take self-guided tours and enjoy the Museum’s exhibit spaces. 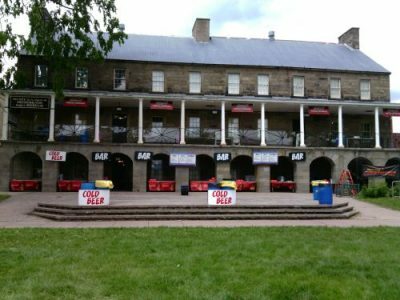 The York Sunbury Historical Society Banner Policy will formalize the procedure and responsibilities for anyone wishing to affix banners to the building, including the balcony. Banners are taken into consideration for heritage activities, community partners, and festivals in the Square. An application form must be completed in advance and submitted to the museum office for consideration of approval. Banners can be hung for duration of the event only and the organizing group is responsible for having the sign put up and taken down. Banners must raised and removed during museum operational hours. Banners that require raising and / or removal during alternate times will be subject to a fee to cover the additional staff cost. Please refer to the Museum’s Hours of Operation or more information. A $30 refundable cash deposit will be required to ensure clean up and removal of banners. If you have questions or require additional information regarding display of a Banner, please contact the museum office at 455-6041.